It's the best program for young learners to learn Mandarin. 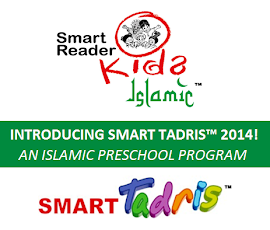 The Smart Mandarin™ program comes in 6 comprehensive Levels. With it, students will be expose to different sound and grammar skills in every level! Learn The Original and Correct Mandarin From China’s Expert! Smart Mandarin™ applies the Han Yu Pin Yin approach which is noted to be the best way to master Mandarin. This approach helps the student to learn the correct and accurate pronunciation of the Chinese characters. When students have a strong foundation in Han Yu Pin Yin, their reading and writing skills will definitely be enhanced at an early stage. * Smart Mandarin™ is also part of subject thought in our exciting Smart Reader Kids® preschool program, providing Mandarin language exposure to children in early stage. Mandarin Tuition class size is 12:1. We maintain this small learning group per teacher to ensure kids get individual attention in each class. Our teachers are trained by expert from China who is the awards-winning educator with more than 30 years of teaching experience. This reputable expert travelled specially to Malaysia to train and supervise our teacher. Out teachers are also exposed to the Creative Teaching Methodology and the preparation of interesting teaching aids as to stimulate the learning environment for the students. Only teachers who have completed teachers' training programme and awarded with the certificates are allowed to teach the Smart Mandarin™ programme in Malaysia. 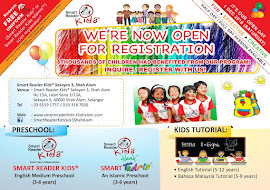 The monthly fees for Smart Mandarin™ tuition is RM80/month. Please contact us to learn more about Smart Mandarin™ tuition fee. When students master the Han Yu Pin Yin approach, they are educated and trained to be independent self-learner. Under the guidance of teachers, students will be able to use dictionaries and pronounce new words on their own. Hence, the ability of learning new Chinese characters is unlimited. Learning of Mandarin language can be beneficial in years to come.